The municipality of Messina, one of the main cities of Sicily in southern Italy, has placed an order for 13 BYD midibuses. 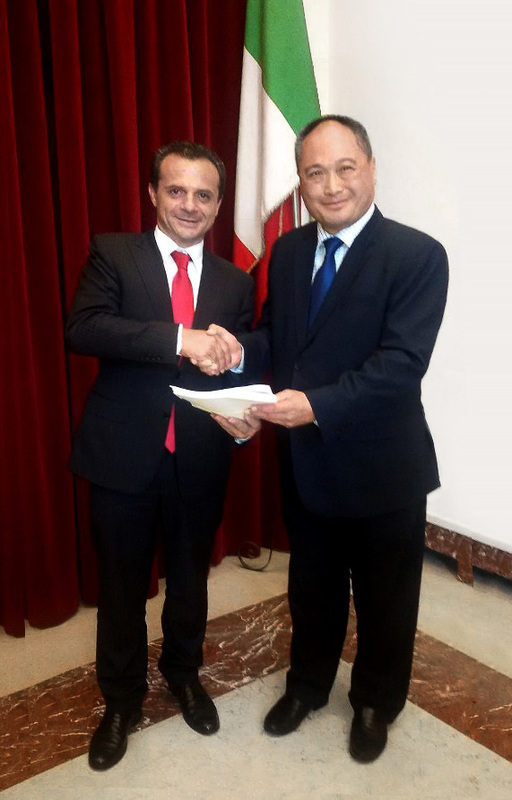 A contract was signed in the presence of the Mayor of Messina, Cateno De Luca, between the General Secretary, Antonio Le Donne, and Managing Director at BYD Europe, Isbrand Ho. The purchase is made possible with the fund of the National Operational Programme called NOP Metropolitan Cities 2014-2020, which focuses on the renewal and technological upgrade of the local public transport in 14 Italian metropolitan cities. The ebuses, purchased by the municipality, will be assigned on loan to Messina public transport operator ATM. transport operator ATM. The tender won by BYD is the first for new generation electric buses in southern Italy. Earlier this year Turin, also placed an order for 13 midibuses. They are soon to be delivered to the northern city. The BYD midibuses have a length of 8.7 metre and are equipped with two doors and have capacity for 53 passengers. The Messina order will be delivered in two batches and both within this year. Cateno De Luca, Mayor of Messina: “Electric vehicles promote sustainable mobility and reduce pollution. I am pleased to learn that in Shenzhen, where 14 million inhabitants live, over 16,000 buses are operating, all electric, and the tram does not exist as a transport philosophy. I welcome the invitation from Mr Ho to visit this corporate giant, which has the same number of employees as the entire population of Messina. For BYD, which has already supplied other Italian cities such as Turin, Milan and Novara, it is a pilot project ".